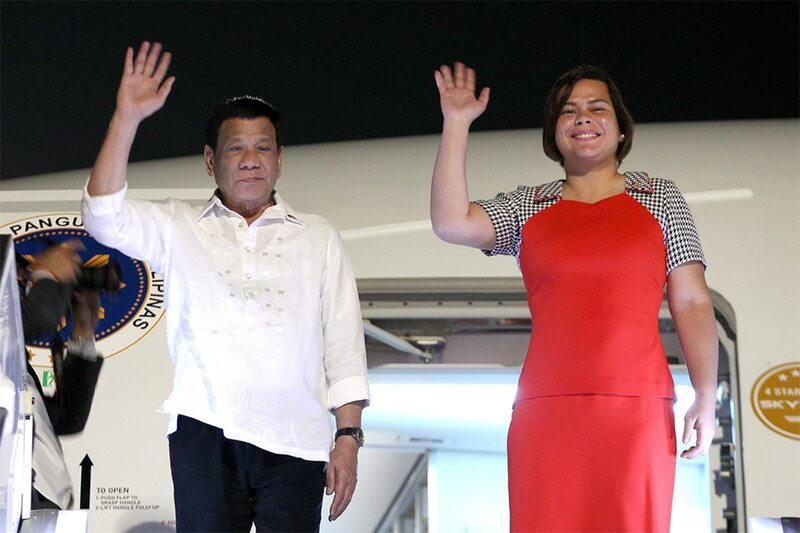 MATI, Davao Oriental -- The work of a president is like that of a mayor "magnified 1 million times," Davao City Mayor Sara Duterte-Carpio said Monday, after her father President Rodrigo Duterte, said she was unlikely to seek his post in the future. Duterte-Carpio said she was focused on her reelection bid as Davao Mayor, a position held by the elder Duterte for over a decade before he won the presidency in 2016. "Siguro alam niya kung gaano kahirap ang trabaho ng isang president (Perhaps he knows how hard the work of a President is). It’s not easy. It consumes the whole of your life and the whole of your time, days and nights. It’s like the work of a mayor magnified 1 million times," Duterte-Carpio told reporters here, where she is campaigning for candidates of her party, Hugpong ng Pagbabago. Duterte-Carpio is seeking a second term as mayor. The Constitution limits her to 3 consecutive terms, or until 2025. The next presidential elections will be in 2022. During the campaign rally of his PDP-Laban in Bacolod City on April 11, Duterte downplayed talk that her daughter was being groomed for the presidency. "If I know Inday, hindi ’yan tatakbo ng pagka-presidente (she won’t run for president)," Duterte said, calling Duterte-Carpio by her nickname. "Wise ’yan si Inday (Inday is wise). She just wants to shake the tree and get rid of the dry leaves and everything. Hindi ako papayag na tatakbo (I won’t allow her to run)." Analysts have said Duterte-Carpio's role in the midterm polls indicates that she is positioning herself as a possible contender for the presidency in 2022. The Davao City mayor, however, urged her supporters to stop labeling her as the country’s “next president,” as this has made her a prime target of those eyeing the presidency.